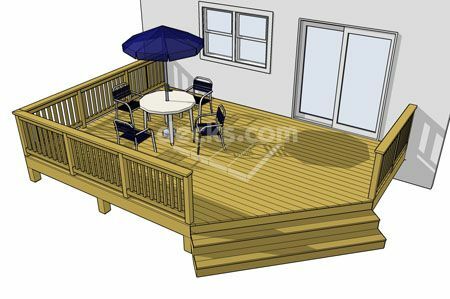 This deck design is a perfect choice if you are working with a low elevation and a tight budget. 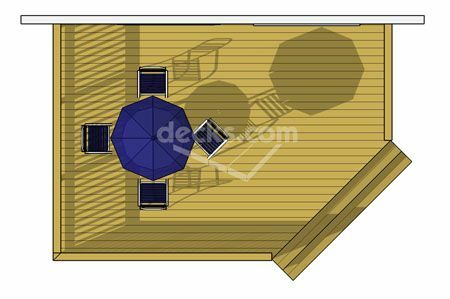 This economy minded deck will give you the most bang for your buck. 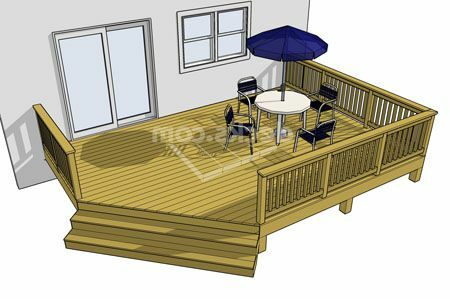 The 20' x 14' deck opens up to a 10' angled stair on the corner creating a convenient entrance and a visual connection to the landscape.